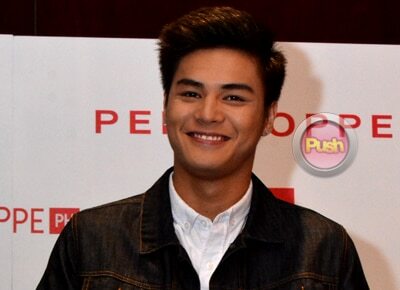 Is Ronnie Alonte jealous about Julia Barretto and Joshua Garcia’s love team? Ronnie Alonte says that he is open to being paired with anybody. Ronnie Alonte just shrugged off rumors that he was jealous about Julia Barretto and Joshua Garcia’s love team pairing. Joshua and Julia became a trending topic early this week following the circulation of their sweet moments during the latter’s birthday dinner and her BBQ birthday party at home. Ronnie in an interview during his launch as one of the newest brand ambassadors of Club Penshoppe PH along with Loisa Andalio, Sofia Andres, Tanner Mata, Spanish model Emilio Francisco Perez, and Brazilian model Maria Fabiana, clarified that he also went to Julia’s birthday bash. “Andun ako, humabol ako. Galing kasi ako sa isa pang event,” he said about being present at Julia’s party in her Quezon City home. But is he jealous over the fact that Julia’s love team with Joshua is also gaining ground? “Para sa akin wala kasi unang-una naman sa Vince and Kath and James sila naman talaga ‘yung love team eh. Third wheel naman talaga ako eh,” he said. Their romantic-comedy film Vince and Kath and James earned praises during the last Metro Manila Film Festival. “So una pa lang tanggap ko na hindi man ako ma-love team dito okay lang. Para sa akin, kahit sino ang i-love team sa akin at bibigyan akong trabaho, gagawin ko po,” he explained. Aside from Julia, Ronnie is also being paired with Sue Ramirez and Loisa Andalio. Meanwhile, the Hashtags member is very happy with how his onscreen partnership with Julia is faring. The two are part of the primetime soap A Love to Lasti which stars Bea Alonzo and Ian Veneracion. “Sobrang saya sa nangyayari sa A Love to Last. Sobrang ganda ng feedback ng mga tao at ng mga nanonood. So, sobrang happy ako,” he said. Apart from the soap, Ronnie revealed that he is currently working on the horror flick Bloody Crayons. He is also set to star in a romantic-comedy flick within the year.